Serena is an exclusive Spanish Mediterranean plan of tile roofs, and exquisite details creating a cosy home that is also economical. The residential development design approach of Serena, provides its residents more space and recreation zones. The unique plan encourages neighbourliness, making it a perfect location for families searching for a vivacious residential destination with a communal vibe. Wake up to the spirited grasp of a tranquil and calm lifestyle amidst an abode of thoughtfully detailed 2 and 3-bedroom townhouses at Casa Dora in Serena. Walk across the green spaces extending throughout the area, with exceptional Mediterranean architecture. Enjoy a break at the heart of the community where a Spanish-themed plaza provides a cheerful atmosphere for residents to meet and enjoy outdoor experiences. Serena is in a dynamic area that is situated in the heart of DUBAILAND, close to Emirates Road. Type A: 3BR + Maid Semi Detached unit - 2,272 sq.ft. 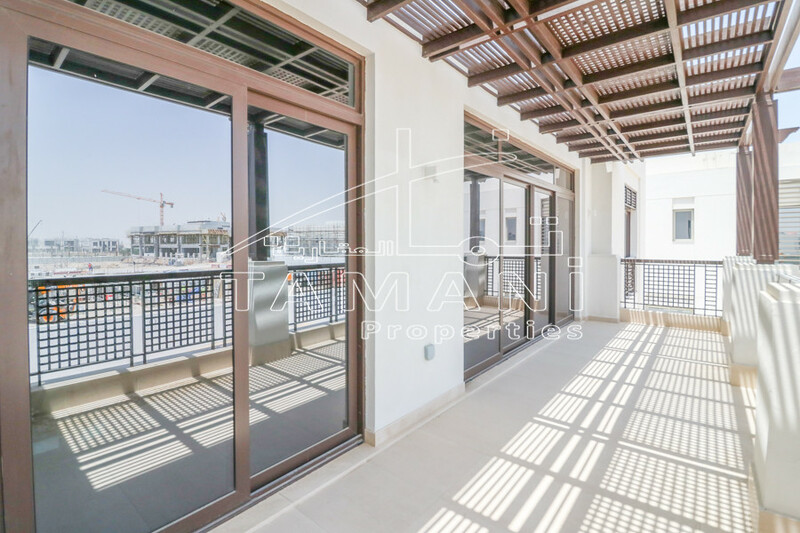 Type B: 3BR + Maid End Unit Townhouse - 1,937 sq.ft. Type C: 3BR + Maid Middle Townhouse - 1,821 sq.ft. Type D: 2BR Middle Unit Townhouse - 1,473 sq.ft. Type D+: 2 BR Townhouses + Maid - 1,514 sq.ft.